Despite continued data showing the impacts of climate change it did not come up in President Donald Trump‘s State of the Union message Tuesday night and has not been a priority for the administration. 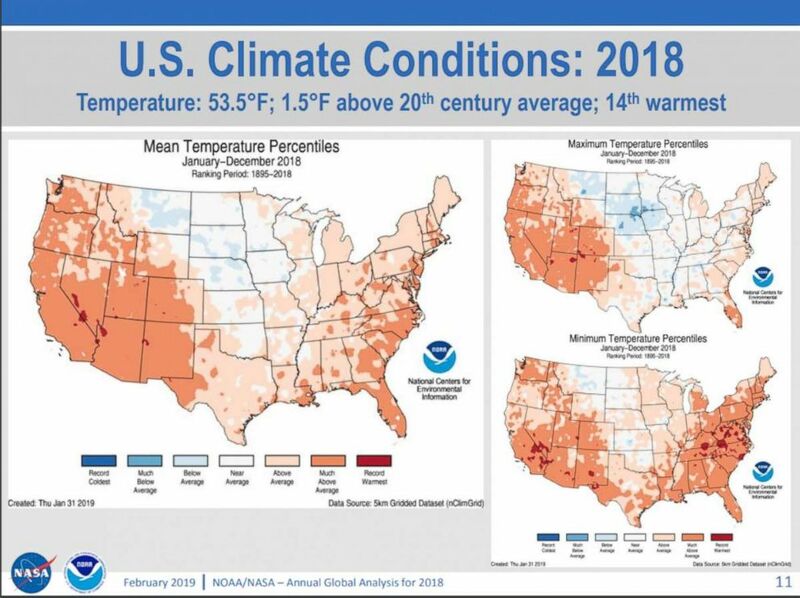 A map from the National Oceanic and Atmospheric Administration shows how 2018 temperatures throughout the U.S. compared to average temperatures in the 20th century. The night after President Trump delivered his State of the Union speech, which did not include any mentions of climate change, Democrats held two hearings to highlight their focus on putting the issue back on the agenda. Two House committees held concurrent hearings on climate change Wednesday, the first time in years each committee has taken on the topic. Ranking Member Rob Bishop, R-Utah, raised concerns the hearing was too broad and not focused enough on the committee’s jurisdiction, which is federal conservation programs. Bishop said he wants to the committee to spend more time talking about how forests can be managed to promote clean air and protect states from smoke pollution as a result of wildfires in states like California. “I have to mention I’m kind of a loss, I don’t know where this hearing is going or the other six you have planned because you haven’t told us what the goal is. At some point we may be asking, where are we going? What is the real legislation to help people that is supposed to come out of these hearings? To understand whether these hearings are for those of us around the horseshoe that are going to make legislation or this group that’s sitting at a table in the corner so they can write cute stories,” Bishop said, point toward reporters in the hearing room. “I, first of all, would like to thank Ms.Nazar for your commitment and your sacrifice to the things you believe in. I almost want to apologize to you and the youth of this world who go to bed every night worrying about what will happen to our communities because of climate change and I just want to recognize your presence her,” Haaland said. “The northeast United States, when I was a much younger person, had a huge issue with acid rain which was mostly coming from the midwest. 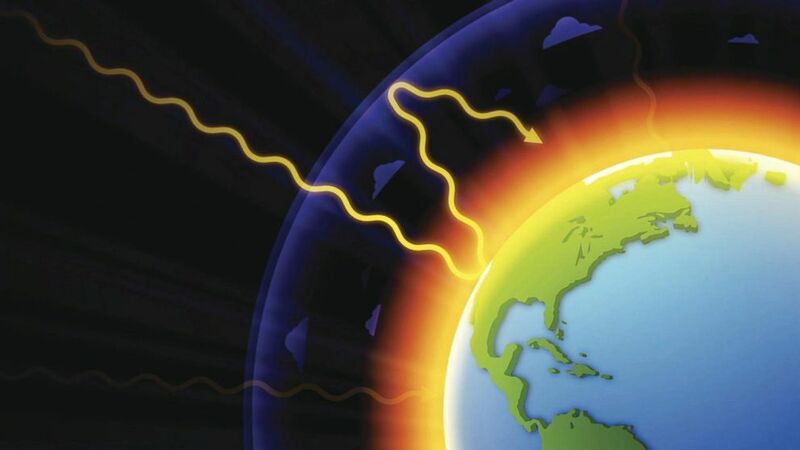 And that was a big problem as an environmental issue there was a lot of debate and discussion about it but a combination of state and federal policies over time basically solved it,” Baker said, adding a similar combination of state and federal policies have helped contribute to the recovery of the ozone layer.